Absinthe was more than a mere liquor: it was a muse. Mid-19th century French poets swore their allegiance to the murky green distillate, claiming it offered them insight into the poetical meanings and interconnections that lay under the mundane world of hard forms. are, and that is the most horrible thing in the world. Absinthe was in fact a dangerous drink, but not because it purveyed forbidden knowledge, but because it contained a potent neurotoxin, wormwood. The same psychotropic that affected those poets' perceptions also ate away at their brains. 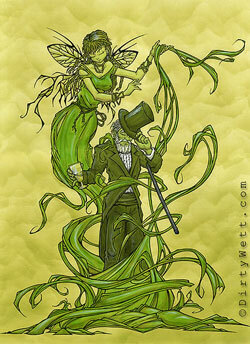 Consequently, at the turn of the century Absinthe was made illegal in nearly all of Europe. Today it is only available in Spain, the Czech Republic and maybe a few other countries. It is illegal to sell Absinthe in the US. Imbibed occasionally, however, Absinthe presents no real danger, and can offer an encounter with the same muse that inspired Baudelaire, Verlaine, Rimbaud, Van Gogh and many others. The problem is, where you do get it? Outside of ordering expensive bottles from other countries via Ebay, the only recourse available for the curious is to make it yourself. Many recipes exist on the internet, though mostly they require knowledge of herbs and their processing techniques. And they require that you buy those herbs and wait a long time for them to release their compounds into a bottle of grain alcohol. There is a much easier way, one I've done myself, and though the result may not be as fine as it would be from a real distillery or a hand-made herbal batch, it works well and creates the same weird-but-wonderful effect after ingestion. Absinthe was basically a double-strong pastis (an anise-flavored liquor like Pernod or Ricard) with wormwood added. As wormwood oil is inexpensive and available on the internet, all you have to do to make a reasonably authentic bottle of Absinthe is to add a few drops of wormwood oil to a bottle of Pernod and voila! It won't be as strong as traditional absinthe (which was upwards of 150 proof), but it will have much of the flavor and unusual effect. Normally a small bottle of wormwood oil sells for about $10 US. Search the internet for companies that sell "essential oils." A WORD OF CAUTION: I've made bottles of Absinthe with this method and it's VERY important not to overdo it on the wormwood. As with all medicines, a little can be a tonic, a lot can be a poison. Twelve drops of oil in a 750ml bottle (not per glass!) should be enough. I can't vouch for the concentration or purity of the oils out there, and it's possible that some might be stronger than others. Should you choose to make a bottle for yourself, you do so at your own risk. I read a story on the internet a while back in which someone tried to do this and mistakenly drank the whole bottle of wormwood oil in one sitting! He lived, but was very sick. Use caution when making Absinthe, try using less drops to begin with and increase them if it doesn't seem enough and if you don't feel ill. Generally you should experience no ill effects (except a wicked hangover if you drink too much), but c'est la vie and chacun a son gout, everyone is different. Incidentally, you don't have to use Pernod. Any hard liquor will do, but for the proper taste of Absinthe, you need an anise-flavored alcohol. Also, you generally add water to the drink and stir it around to make a milky beverage. It was customary to pour the absinthe over a special spoon with a sugar cube in it but you by no means have to add any sweetener. Want to know more? The definitve book is Absinthe: History in a Bottle by Barnaby Conrad.